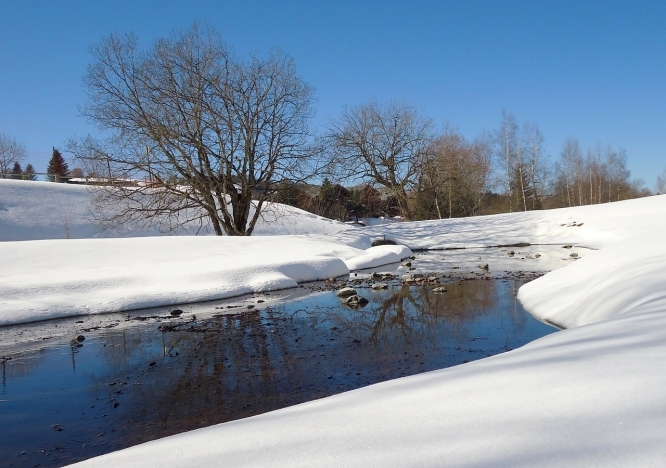 Snow has fallen in the Ardèche, Cantal, Haute-Loire and Lozère, with Météo France calling it “heavy and settled, notable and late” in the season. Since yesterday, the four departments have been on “orange alert” - the second-most severe level - for snow and ice, with the forecaster predicting that the conditions could make driving dangerous and difficult. 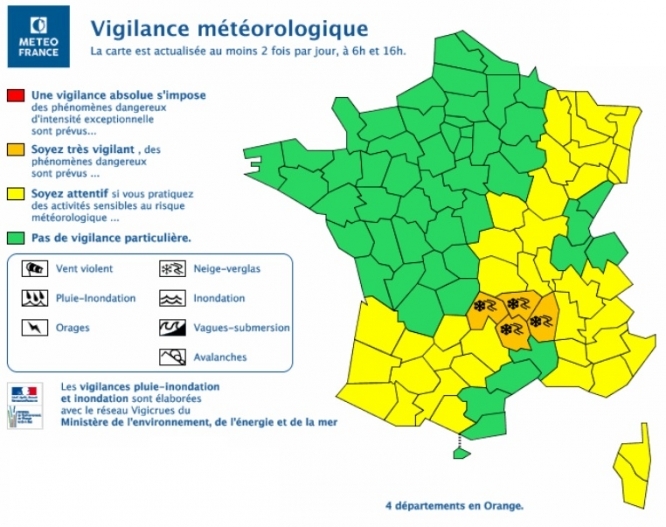 The late appearance of the snow - which Météo France called “heavy and settled” - is expected to have a significant impact on spring plants and vegetation, as well as road conditions, and any “fragile buildings”. In some places, over 12 centimetres of snow has fallen, especially at high altitudes of over 1,400 metres and higher. Even at over 900 metres, over four centimetres have been recorded, with as much as seven centimetres at altitudes of 1,240 metres. It is continuing to snow today (Sunday May 13), with Météo France suggesting that up to 50 centimetres could settle in areas higher than 1,000 metres. Similarly, lower areas - such as the lower Ardèche and the Rhône valley - are expected to be hit by heavy rain. Drivers and residents in the area are warned to be vigilant, and make sure that they carry provisions in their car in case they become stuck. These could include a blanket, shovel, hot drink and snacks. Residents are also warned to ensure that any devices used for warmth or to melt and move snow should be checked to make sure they work properly before use. Only devices explicitly designated for interior heating should be used inside homes and buildings, the forecaster said.